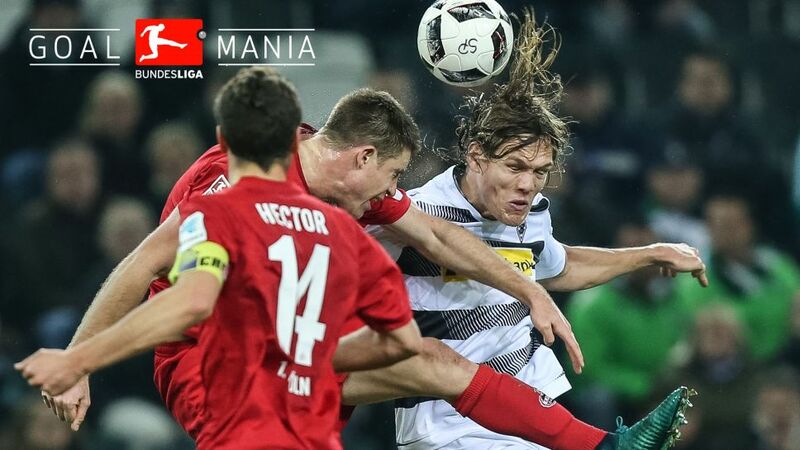 It has been raining goals in the Bundesliga as Goalmania continues to light up the world’s most exciting league! And to match the extraordinary rat-a-tat of TORFABRIKs thwacking goal nets across the country, we’re bringing you a quick-fire blast of Matchday 28 stats to startle your senses. Does your Official Fantasy Bundesliga team need refreshing ahead of Matchday 28? Head here to make some transfers! Take a deep breath Bundesliga fans, for this week we serve up one enticing tapa per team to tickle your taste buds prior to the weekend’s sumptuous main course. And what better way to begin the banquet than with a tasty slice of Werder Bremen! Watch: Werder are the Bundesglia's form team. Check out their five-star show against Freiburg! Die Grün-Weißen’s astonishing Bundesliga comeback has seen them collect a league-high 19 points from their last seven matches, taking them to eleventh place. Could head chef Alexander Nouri concoct a sweet-smelling European finish to delight Werder fans come the end of the campaign? Victory for Bremen against an Eintracht Frankfurt side winless in eight games would certainly add spice to that challenge. Click here to download the free and official Bundesliga App! Speaking of Goalmania, Hoffenheim will be hungry for their 200th Bundesliga away goal – the Sinsheim stars are just one shy of the mark – when they line out in their 300th top-flight game this weekend. Hosts Hamburg are unbeaten in their last eight at the Volksparkstadion - their best run at home for seven years. That’s just the sort of run that Mainz can only dream about. A nightmare sequence of 14 defeats after 27 games is a record low at this stage of a campaign for the 05ers, who visit a European-chasing Freiburg side that have surprisingly lost five of their last nine at home. The last time that Cologne did the domestic double over Borussia Mönchengladbach in the Rhine Derby, the Billy Goats finished as Bundesliga runners-up in 1990. However, on Dieter Hecking’s watch, Saturday’s visitors to the RheinEnergieSTADION have lost just once in ten games, making Cologne’s task a tricky one. Innocence in bloom springs to mind when assessing the meeting of the Bundesliga’s two youngest sides, RB Leipzig and Bayer Leverkusen. But don’t be fooled, for these teams are no tyros. Leipzig topped the Bundesliga when winning the corresponding fixture against Leverkusen earlier this season, while in Kevin Volland Die Werkself have a striker in dangerous form. The 24-year-old has scored five goals in his last eight games. Hertha Berlin’s happy home form is preventing the Old Lady from having a Rückrunde to forget. Pal Dardai’s charges have taken just ten points from their last eleven games but will be hopeful of improvement this weekend when an Augsburg team without a win in five games – an unwanted first for the Bavarians this season – visit the capital. Ingolstadt and Darmstadt – who meet on Matchday 28 – were promoted to the Bundesliga together in 2015. Currently occupying the league’s last two places, both need to act fast to avoid going back down in tandem. Watch: See some of the best moments of the Bayern-Dortmund rivalry. It’s all a far cry from a 21st Klassiker since April 2012, with Bayern Munich’s title-chasing ambitions and Borussia Dortmund’s hopes of a top-three finish coming to the fore. Carlo Ancelotti’s team have won just once - 3-0 against Leipzig - in four encounters against the teams in the three places immediately behind them this season. Dortmund coach Thomas Tuchel, meanwhile, has triumphed four times against BVB’s rivals. And what better way to round-off our pre-weekend course of chewable figures than to tell you that Mario Gomez – he of the 12 Bundesliga goals this season – has never scored against Wolfsburg’s weekend opponents Schalke. The Royal Blues boast a record of six wins in their last six home games against the Wolves, all of which whets the palate for a delectable encounter. Bon appetit! Don't forget to like the Bundesliga's Facebook page!